I'm just back from a trip to East Anglia. 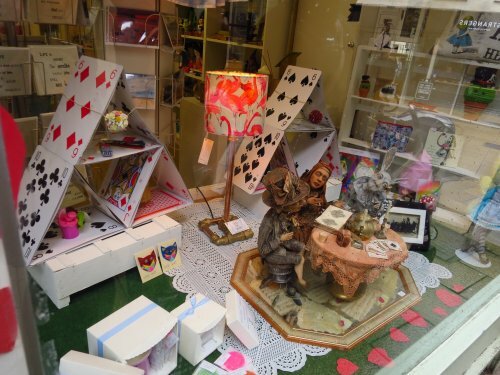 While I was there, I visited Norwich, and came across this little shop in 22 Lower Goat Lane, very near the market square. 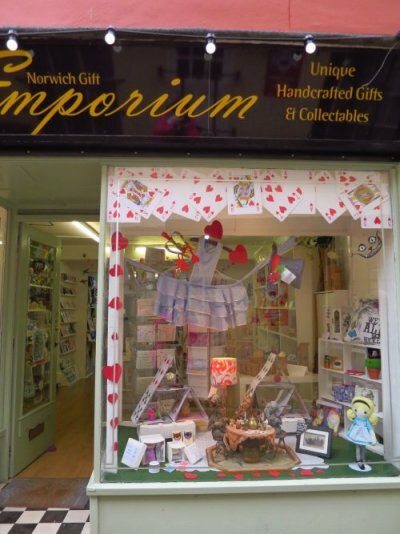 It is called Norwich Gift Emporium and its window had an Alice in Wonderland theme which caught my eye. 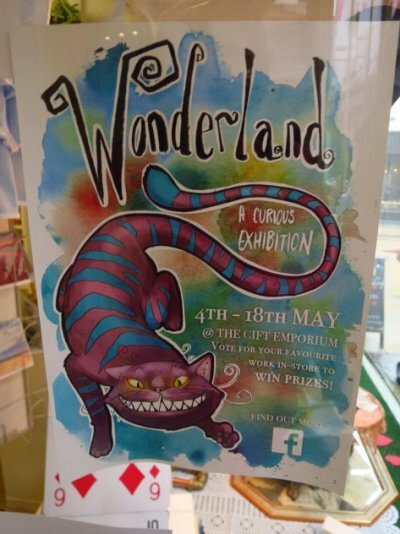 If you manage to visit before 18 May you can enter the contest - voting for your favourite art work. Personally I liked the flamingo lampshade! There is a lot to see in this part of Norwich - a very interesting and (I always think) rather underrated city with all kinds of things to see and nice places to eat in its winding medieval lanes.